Tuesday, August 21st, 2018 at 3:00am. Sheltered from the Jupiter sun by colorful paint and tin roof is a chow shack right out of an old Gidget movie. 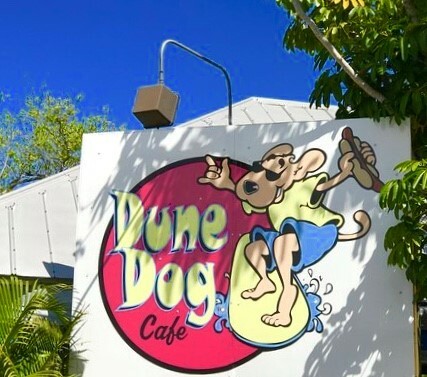 Dune Dog, 775 North Alternate A1A, just north of Indiantown Road, is an after boating or being at the beach spot. It’s perfect for cooling down and filling you up. It’s a tropical, beach-inspired snack shack café you are going to fall in “Love at First Bite” with the award-winning food.